Are you on the first page of Google’s search results or your brand is lost among plenty of other similar businesses and brands? Are you losing the traffic and visibility on search engines? If yes, then the major reason behind this is poor or no optimization of your web page. 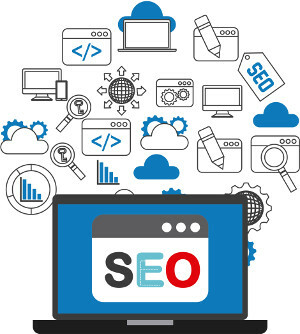 Search Engine Optimization (SEO) is no longer a mania or contemporary rage but is a present-day reality of the virtual world and no business can touch the greater heights by ignoring this major aspect of digital marketing. Media Glance will aid you to give the necessary boost to your business and will help you reach your full online potential by generating leads and sales. Statistics from different surveys suggest that 97% of people search the local products and services online, and 88% of consumers rely heavily upon online reviews before purchasing local services and products. If the statement above has such a significant impact on the regional business's growth, why leave it while focusing on the bigger SEO picture? Media Glance is a top SEO company in Toronto that provides the best Local SEO services in order to bring your local customers straight to your door. 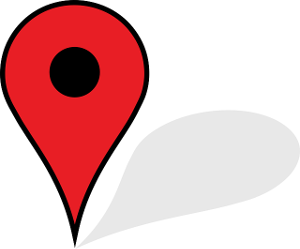 Don’t get bewildered by the term Local SEO, because it is basically standard Search Engine Optimization services where the website has been optimized with a specific physical location and regionally specified keywords. So, that when someone search for a service or product mentioning the location, or someone from the specified region search the web, your website will be displayed in SERPs with better ranking. Are your company’s social media accounts’ engaging? Do they connect with the targeted audience? Are they up-to-date? No… then let the Top Digital Marketing Agency in Toronto help you with its best Social Media Marketing services in the city. Do you know that more than 60% of people click on Google ads when searching for a product or service? PPC marketing guarantees fast Return on Investment (ROI), provides instant traffic and generates quality leads for your website. 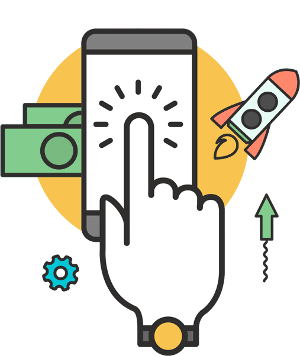 Apart from this, PPC management provided by us will help you to analyze the worth of advertising offers and let you adjust them to guarantee success. Though search engine optimization (SEO) is deemed an ideal approach for the long-term and organic growth of the business, Pay per click mareketing, along with PPC advertising campaigns are highly valuable because they provide an instant boost to your business. 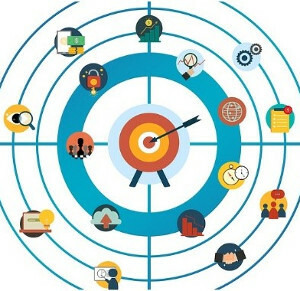 The PPC management team at Media Glance understands the unique needs of customer's business and have certified marketing and advertising experts in creating highly targeted PPC campaigns thoroughly adhere to the client’s expectations. 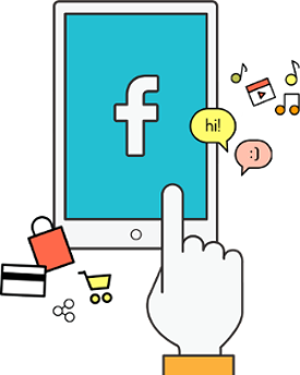 So, whether it’s Google, Facebook, or other social media and RTB platforms, our PPC management team knows how to aptly advertise on all advertising platforms and enhance the visibility of your brand for your potential customers. 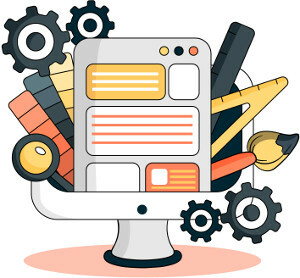 Creative and proficient team of developers and designers at Media Glance utilize cutting edge technology to craft striking websites that will augment the customers’ engagement with your brand and generate higher conversion rates. 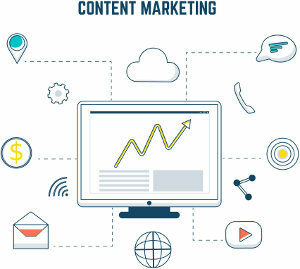 Content Marketing is the most successful digital marketing tactic that excels in improving the lead generation volume. As compared to traditional outbound marketing, content marketing generates three times more quality leads and for small businesses, it is even more productive. Blogs, presentations, press releases, white papers, eBooks and SEO copywriting, if done right they can get more than 100% lead growth for entrepreneurs and businesses. Display advertising is getting “face time” with the target audience in this critical and significant component of digital media strategy, relevant and highly targeted advertisements of the business are displayed to the potential consumers while they are browsing the web. Media Glance being the top digital marketing agency in Toronto provides best display advertising, real-time bidding, programmatic media buying, and other digital marketing services. Our advertising experts offers productive and compelling display advertising strategies, which will help you instantly reach prospective customers for your business. Our display advertising professionals make use of banners, native, videos and other reach-media formats to attract the attention of potential buyers and enhance your brand awareness. Email marketing is one of the most effective digital marketing services; in this dynamic world of digital marketing services, emails are the one that is cost-effective, easily generated, targeted, automated and measured means of marketing. After facing a brief descending trend, the popularity of emails is mounting in digital marketing and are playing a critical role in building the brand's trust and loyalty. Gone are the days of mass send outs of emails to the list of subscribers, email marketing has become more targeted in recent time. Media Glance efficiently handles the email marketing for its customers. 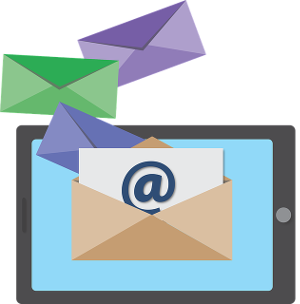 Through the relevant email campaign, we deliver dynamic content that resonates with the potential customers. At Media Glance we have a full-service team of experienced professionals; they collaborate to create the best email content for the right audience and execute a result-driven marketing strategy. Are You Ready to Get Started with Our Digital Marketing Services?